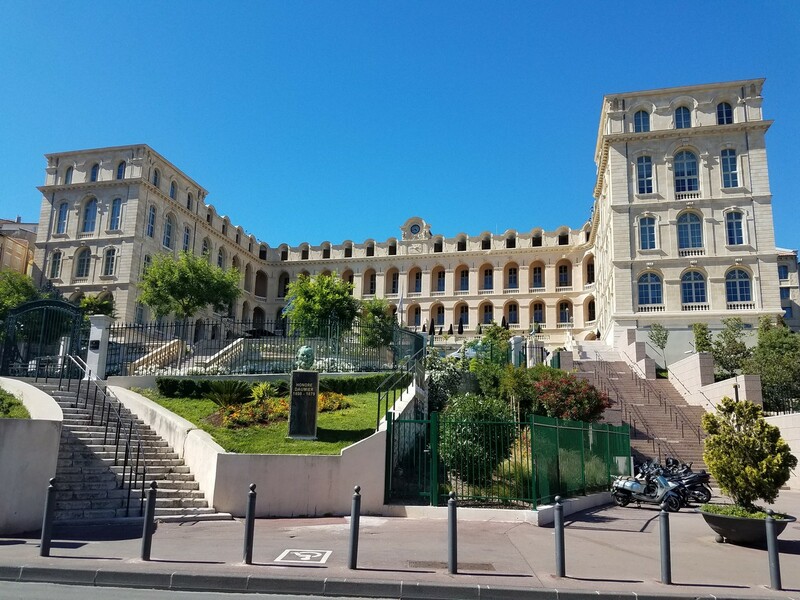 The InterContinental Marseille Hotel Review is part of the Round The Atlantic Trip Report. Getting There: Uber is 45 euros but the bus is only 8 euros. Since it was my birthday and I was in a hurry, I took Uber. Since I was lazy and returning to the airport, I took Uber again. The IC Marseille is a beautiful hotel that sits on a perch overlooking the Vieux Port. It’s like something from a movie. Indeed, it is featured in the TV series Marseille. The best part of the hotel is the view from the terrace, a view that was not available from my room. I rarely receive an upgrade from IHG hotels. My status comes from the IHG card so I don’t expect special treatment. Given that it was May, the off-season, and that it was my birthday, I thought that it was possible that I would get a room with a view. I did not. Instead, I was offered a view for an extra 40 euros a night. The guy checking in next to me was offered a view for an extra 50 euros a night, so at least I got the option of a discount. Both of us declined. The room was big but basic. The view was of a courtyard that brought back anxiety from my previous stay in an insane asylum. The welcome amenity was not very tasty. If a hotel bathroom has a rain shower, I’m in heaven. I am glad that I didn’t pay extra for a room with a view. That money went towards espresso, champagne, and cigars on the terrace. The hotel is lovely by day or by night. The hotel is walking distance to Vieux Port, street food, fine dining, and is close to the metro station if you want to attend a football match. I used my annual stay certificate and IHG points to stay here for free. I would certainly come again.